The lab recommends 4 pounds of Phosphate per 1000 square feet. You're going to use 1152 Ammonium Phosphate. CALCULATION: 1 x .52 = .52 pounds of Phosphate per pound of 1152.4 pounds of recommendation / .52 = 7.69 pounds per 1000 square feet. If you take example 1 (1.925) x 7.69 = 14.80 pounds of Phosphate per garden. 1152 also contains 11% Nitrogen. CALCULATION: 1 x .11 = .11 x 7.69 pounds = 85 Nitrogen per 1000 square feet. Nitrogen (N) The lab suggests 3.5 pounds of Nitrogen. Never apply more than 1 pound of Nitrogen when using Ammonium Sulfate. Never apply 1.5 pounds Nitrogen when using other Nitrogen products. If you take example 3, by using 1152 you’re adding .85 pounds of Nitrogen per 1000 square feet already. If you added one pound of Uriah per thousand you’d be adding an additional .46 pounds N per 1000 square feet. If you add the two together you’ve added 1.31 pounds per 1000 square feet, which is okay. The lab recommends six pounds of Potash per 1000 square feet. The best source for pre-plant K is 0-0-50 Potassium Sulfate. You will need to apply 12 pounds 0-0-50 to get 5 pounds per 1000 square feet. Two pounds of Potassium Sulfate equals one pound of K2. You would apply 12 pounds every 1000 square feet to meet the 6 pound recommendation. During midseason, if you notice marginal burning, add 2 pounds of 0- 0-60 Potassium Chloride per 1000 square feet and thoroughly water with overhead irrigation. This would equal 1.2 pounds of K20. Potassium was the biggest deficiency from midseason on for Ron Wallace when he hit the 2,009-pound giant pumpkin. Sulfur (S) All products suggested contain Sulfur. There is no need to add more. The lab recommends 0.7 pounds of Magnesium. Epsom Salt is the easiest to find and it contains 10% Mg. 0.7 pounds/0.1= 7 pounds Epsom Salt to apply per 1000 sq. ft. When burying the vines, always add ½ teaspoon of Epsom Salt. Be sure to thoroughly mix. When drenching, add ½ teaspoon Epsom Salt to the drench. During midseason, if you see mottling and blistering, foliar spray 1 teaspoon per plant twice a week. If you can find the product Kmag, this would satisfy the K, Mg and S needs. Add 1 teaspoon to foliar or drench per week per plant. If you are having blossom end rot or collapsing of the pumpkin, it’s generally related to Calcium, Boron and Potassium. After pollination, when you’re burying the vines; add 1 heaping teaspoon Gypsum, 1 level teaspoon 0-0-50 and ½ teaspoon borax each time. Don’t forget to thoroughly mix with your mycorrhiza, peat moss and other secret amendments. Also, don’t forget Taberna’s Secret Formula to stimulate bacteria and beneficial fungal growth: 2 cans of beer, 2 multivitamins, 2 aspirins, then pee in the hole after waiting an hour. This is a man’s thing that naturally occurs in the backyard, so if you are a gal raising giants… put your significant other to work! When pre planting, it’s best to use Metallic Sulfate materials. It’s been found that sulfated forms of micronutrients retard onset fungal diseases. The lab recommends 2 oz. of Zinc per 1000 and you are using Zinc Sulfate which contains 36% of Zn. 2/.36=5.6 ounces Zn to apply per 1000. The lab recommends 1.5 oz. of Manganese. Manganese Sulfate is 24% Mn. 1.5/.24=6.3 oz. per 1000. The lab recommends .7 Copper. Copper Sulfate contains 25% Cu. 0.7/.25=2.8 oz. Copper Sulfate per 1000. If Boron is recommended, it’s best to foliar or drench with 1 tablespoon of Borax. When burying the vine, don’t go over ½ tablespoon of Borax. In season when you’re applying micronutrients, use chelated products. Some examples are amino acid chelates, or citric acid chelates. I suggest buying individually and not taking the shot gun approach. Fancy EDTA materials are fantastic but very poor for foliar application. EDTA is stable at any pH for 2 months in soil. These materials are prone to leeching. 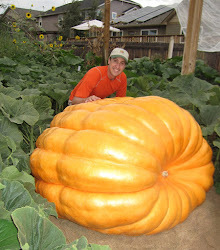 Giant pumpkin and melon growers tend to water heavily and may leach expensive chelated below the effective root zone. The amino acid and citric acids are readily absorbed by plant tissue. It also wouldn’t hurt to add 1-teaspoon product to vine burial mix.